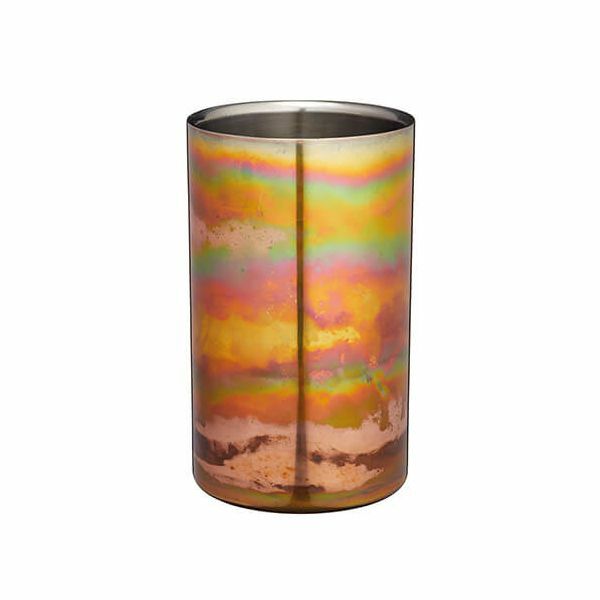 This BarCraft wine cooler is made from food grade stainless steel and is finished with a swirling copper finished textured design. The wine cooler is suitable for a standard size wine bottle. 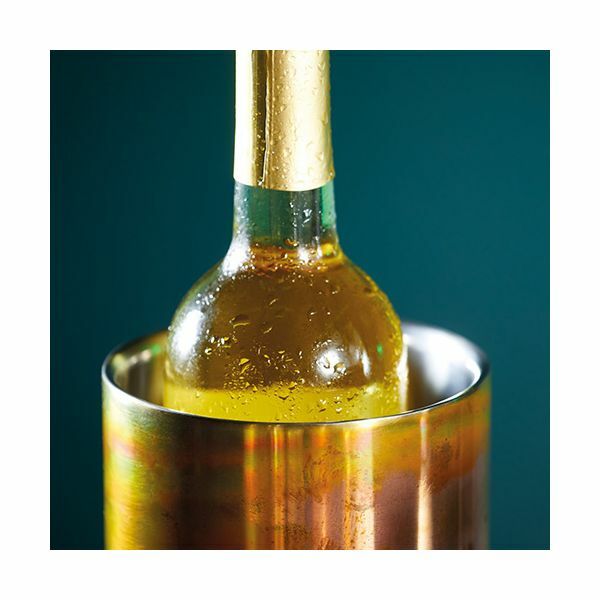 Great for entertaining and special occasions for serving perfectly chilled wine. 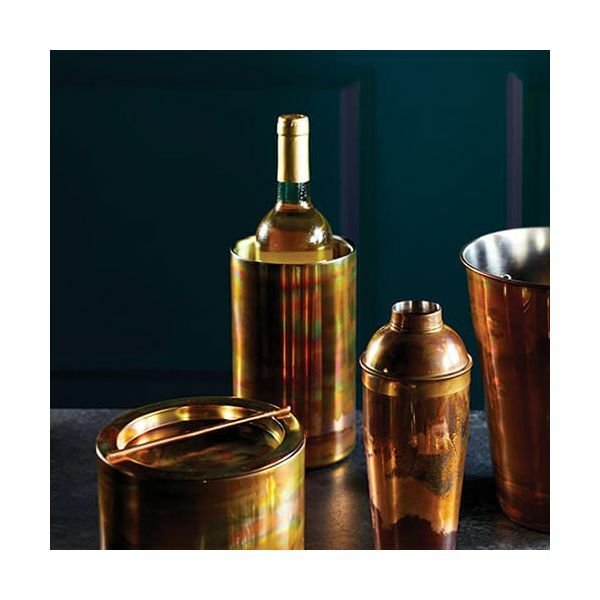 The wine cooler is the ideal gift for a wine lover.